This burst of solar activity began at 8:27pm last Thursday night, and NASA says it disrupted radio communications after 9pm. IF YOU HAD difficulty trying to tune a radio – or using your mobile phone – on Thursday night, this might be the reason why. NASA’s Solar Dynamics Observatory has released this photo of a sun spot from November 3, which led to the emission of a giant solar flare which passed by us later that night. The solar eruption happened at around 8:27pm Irish time, NASA says, resulting in disruptions to radio communications on planet Earth around 45 minutes later. 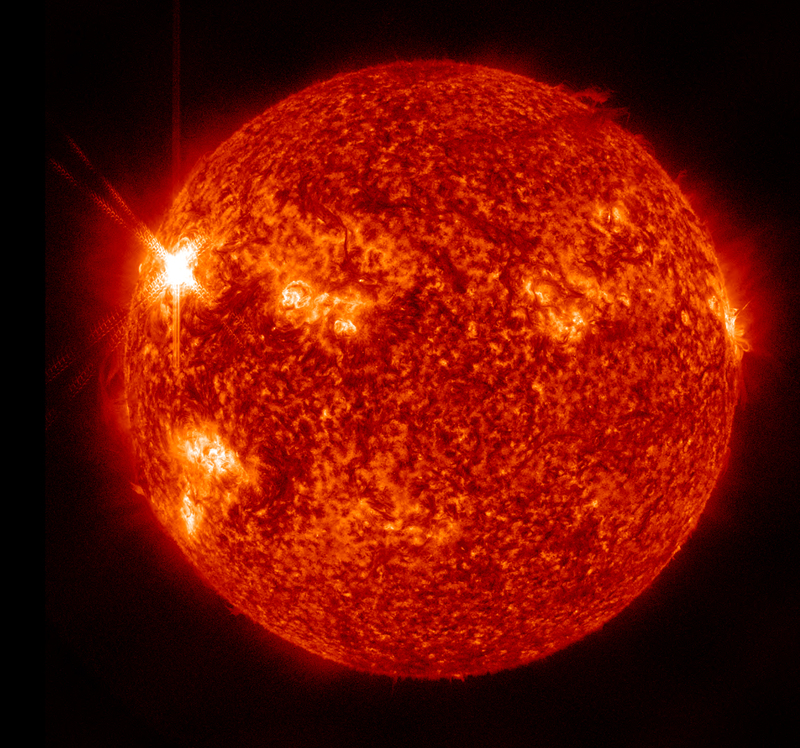 NASA classed the flare – which is officially named AR1339 – as ‘an X 1.9-class flare’, which ranks it among one of the larger types of solar emissions. Another eruption – a ‘coronal mass ejection’ – began at 1:45am on Thursday morning, but came off the opposite side of the sun and so did not come towards Earth. NASA can track solar activity in all directions thanks to a fleet of spacecraft watching our nearest star from all sides. The two largest such spacecrafts – the conveniently-named Solar TErrestrial RElations Observatories (STEREO) – are on directly opposite sides of the sun. Click the photo for a full-sized version. Email “Did you have phone problems on Thursday night? This might be why”. Feedback on “Did you have phone problems on Thursday night? This might be why”.